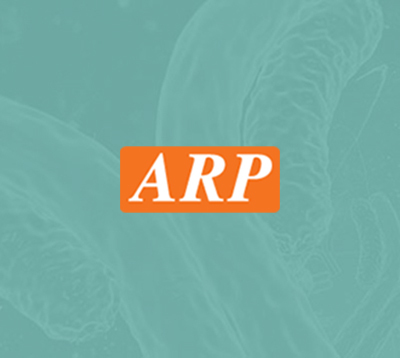 DLD, 36-509aa, Human, 01-1802 | ARP American Research Products, Inc.
DLD (Dihydrolipoamide dehydrogenase), also known as GCSL (glycine cleavage system L protein), is a component of the glycine cleavage system as well as of the alpha ketoacid dehydrogenase complexes. DLD is a flavin-dependent oxidoreductase and functions as a component of the alpha-keto acid dehydrogenase, the pyruvate dehydrogenase, the alpha-ketoglutarate dehydrogenase, the branched-chain alpha-keto acid dehydrogenase and as the L protein in the mitochondrial glycine cleavage system. Mutations in DLD protein can result in MSUD (maple syrup urine disease) and congenital infantile lactic acidosis. Recombinant human DLD protein, fused to His-tag at N-terminus, was expressed in E.coli and purified by using conventional chromatography techniques. 43.1 kDa (389aa), confirmed by MALDI-TOF. Giannopoulou E., et al. (2009) Anticancer Res. 29(12):5077-82. Daee DL., et al. (2009) Proc Natl Acad Sci U S A. 107(1):157-62.